Every woman who is anticipating for her wedding usually gets a bridal shower. It may be arranged by close friends, families, or even workmates. 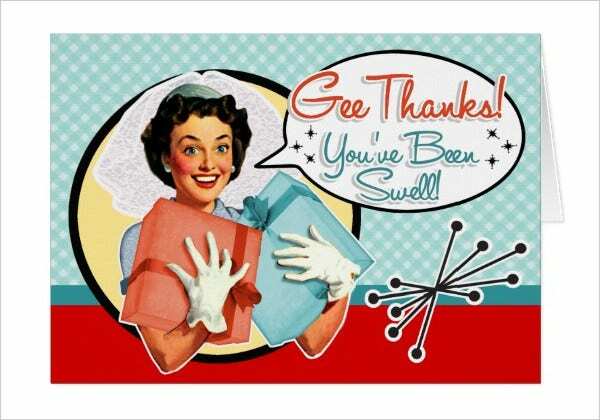 It is a gift-giving party usually made to bid goodbye to the single status of the newlywed-to-be woman. It is only a once-in-a-lifetime experience so those who arrange it make sure that all the things that will occur in the party will make the bride-to-be happy and overwhelmed. Most of the time, it is done in a very personal and intimate manner to assure that the woman who is celebrating the occasion will truly remember it for the rest of her life. 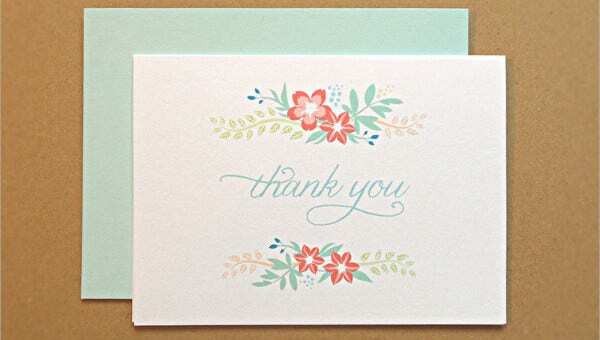 If people who are special to you gave you a bridal shower to remember, send them thank-you cards as a sign of appreciation. 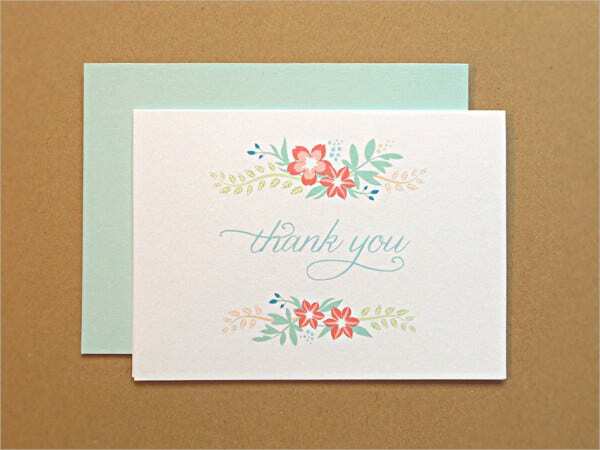 You may take a look at our thank-you cards and see if any of them matches your preferred aesthetic. 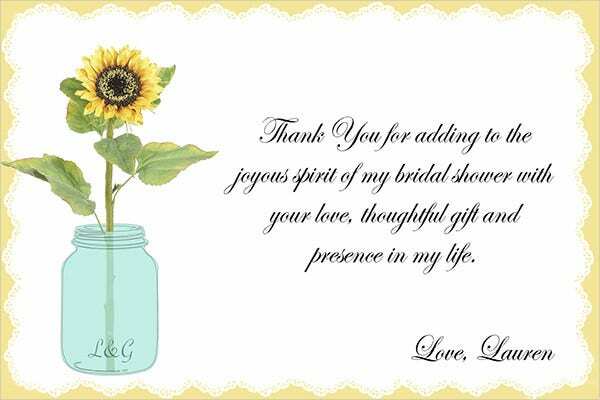 Create a bridal shower thank you card that shows your personality. 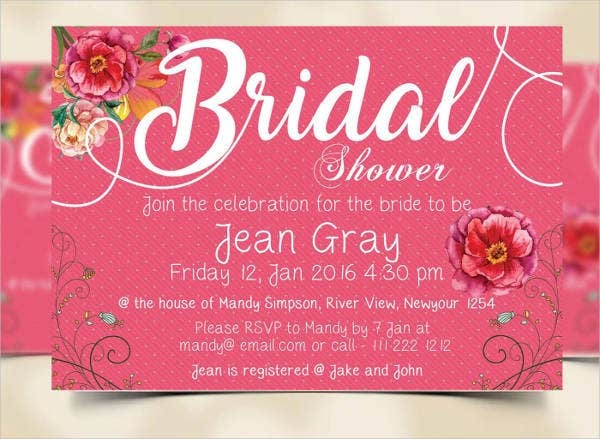 It is of most importance for the people involved in your bridal shower to see you in the card that you are to make. They have studied all the details that can make you happy, so in return, try to give equal efforts on making them special as well. 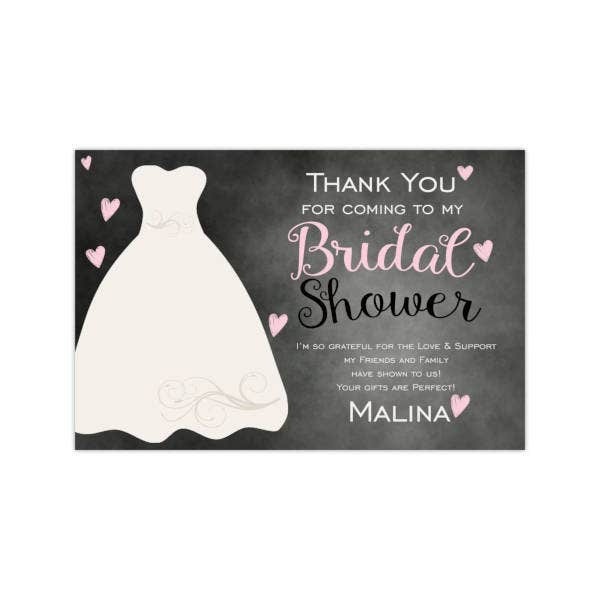 Our bridal shower thank you cards already have designs that stand out. However, you can add up a few design items like ribbons and other materials to make it look better. 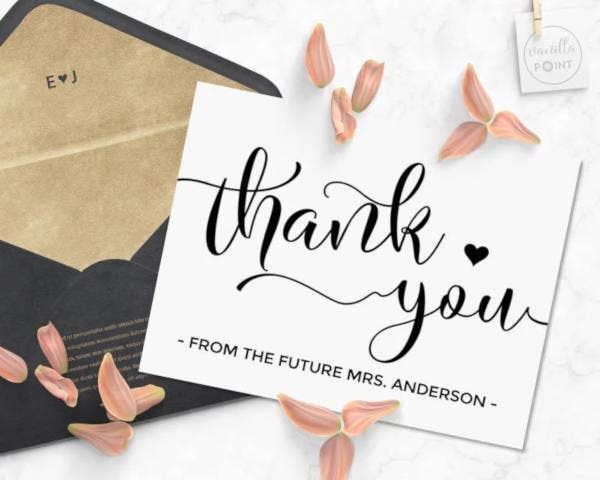 Sending the best thank-you card is a way of showing how you are truly joyful because of the bridal shower that was given to you. Write a personal letter per person that made the event happen. If this is not possible, try to generalize the group and provide a heartwarming message for the participants. Just make sure that your message is well thought out so they will feel the emotions that you have while writing it. Since the closest people made your bridal shower become a reality, you need to be selective of what you give to them. It is most usual that you are so close to them that you are to spend a lot more time after the bridal shower or even the wedding. Make them remember the moments that you’ve shared during this time too by being intricately detailed in sending a message of appreciation. 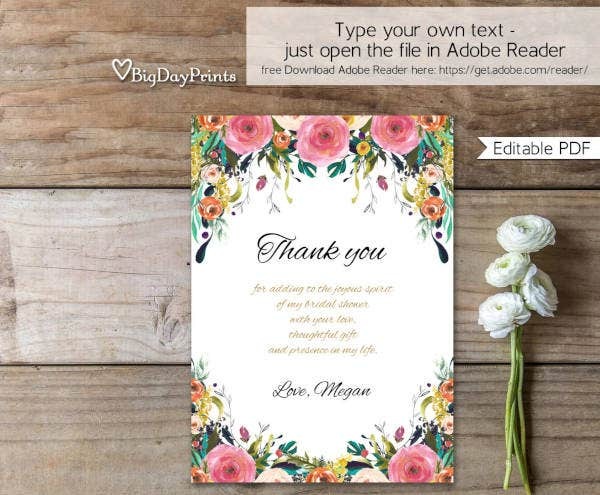 Aside from our bridal shower thank-you cards, you may also use our downloadable wedding thank-you cards to give after your wedding.